I am not sure how to categorise this article because it covers Visio, Bing Maps and travel. 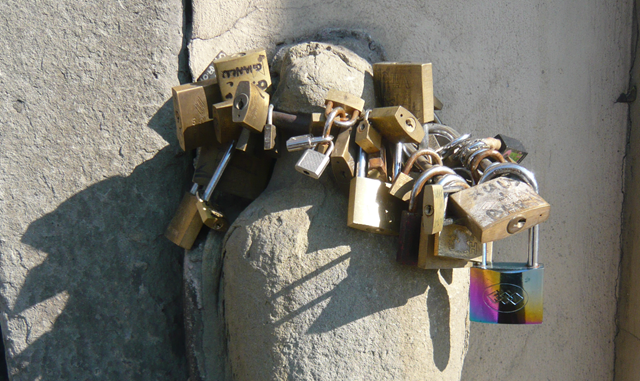 I went to Pisa and Florence for a weekend break this month, and took many photos that I stitched together with Microsoft ICE (Image Composite Editor). Well, I wanted to show-off these photos as I have done on previous articles, but I wasn’t satisfied with how I presented them before. so I re-used and adapted some of my previous work (see http://bvisual.spaces.live.com/Blog/cns!3350D61BC93733A9!1005.entry), and some of John Goldsmith’s (see http://visualsignals.typepad.co.uk/vislog/2007/12/escaping-from-s.html#more), and one of Chris Roth’s blogs (see http://www.visguy.com/2007/07/13/map-distance-dimension-line/). I created a Camera Position master in Visio, and adapted my previous code to import the KML files from the above Bing Map collections into Visio. I can adjust the splay and angle of the camera to approximate the vista covered by the panoramic views. 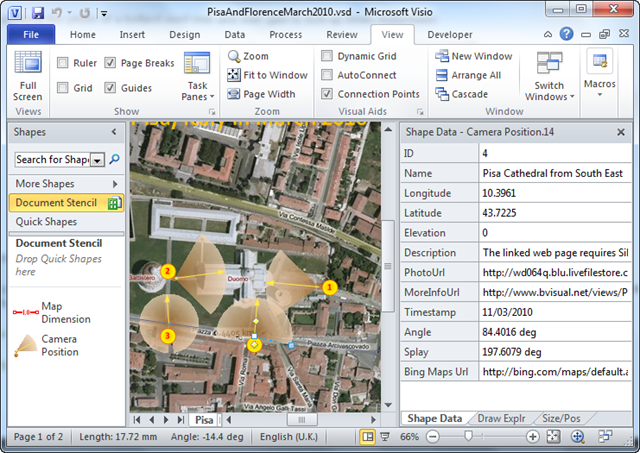 I then saved the Visio 2010 document (two pages) as web pages, and altered the frameset.js file, as shown by John, so that the PhotoUrl is displayed as a thumbnail, and the MoreInfoUrl and Bing Maps Url links are available in the Details panel. 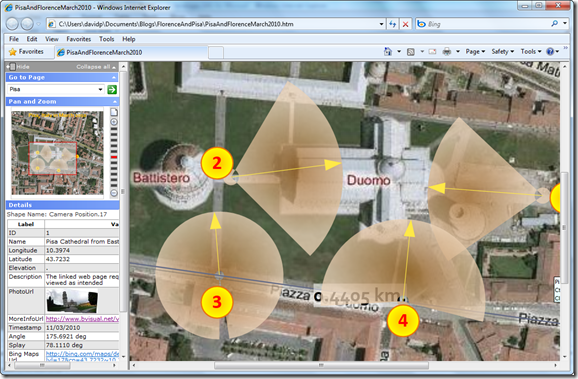 In addition, clicking on a Camera Position shape opens the Deep Zoom web page for that view.